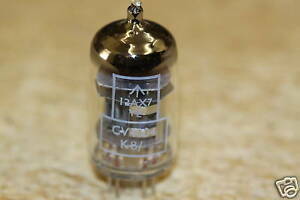 Mullard CV4004 12AX7 ECC83 Pre-amp tube. New Unused. Fast Ship USA Seller. yitry has no other items for sale. Superb,.service ! Thanks very much,.! As described and fantastic communication, reccomended!! Super eBayer as described AAA+++!!! Well made valve with great tone.